In a letter to the Maryland Transportation Secretary, Montgomery County leaders have expressed concern regarding a lack of communication regarding an ambitious project to ease congestion. 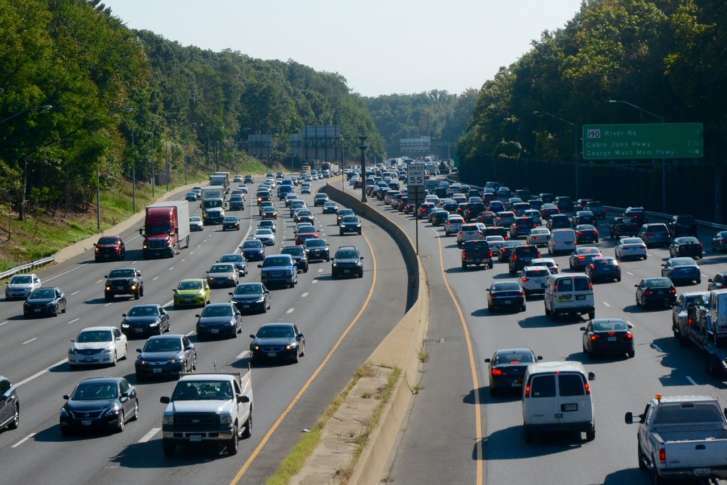 WASHINGTON — Montgomery County lawmakers expressed concerns about an ambitious plan to ease traffic congestion in a letter to Maryland Transportation Secretary Pete Rahn. They also requested that Rahn appear in front of the county council to answer a series of questions. Council President Roger Berliner, who chairs the transportation committee, says he wants more information on the project that would impact major highways including the Capital Beltway and Interstate 270. “We’ve invited the secretary to come to our council to address these questions,” Berliner said Monday. Maryland Gov. Larry Hogan laid out the $9 billion plan last month, calling for the addition of four new lanes on the Maryland side of the Capital Beltway, I-270 and the Baltimore-Washington Parkway. The project would include the addition of express toll lanes on all three routes. “These three massive, unprecedented projects to widen I-495, I-270 and Md. 295 will be absolutely transformative, and they will help Maryland citizens go about their daily lives in a more efficient and safer manner,” Hogan said in a statement. Building new toll lanes on the Baltimore Washington Parkway requires the U.S. Interior Department to transfer the parkway land, which the federal government owns, to the Maryland Transportation Authority. Hogan says he recently met with Interior Secretary Ryan Zinke to kick-start the process. According to Berliner, the governor’s administration kept Montgomery County in the dark and did not discuss the project before announcing it. Berliner says he hopes Rahn is able to join the council so he can answer questions and discuss what effects the project could have on surrounding communities.